When you are a breastfeeding mom, your life revolves around when and where you will feed your baby. I’m past this stage but I always keep my eye open for nice little nooks, especially when traveling. 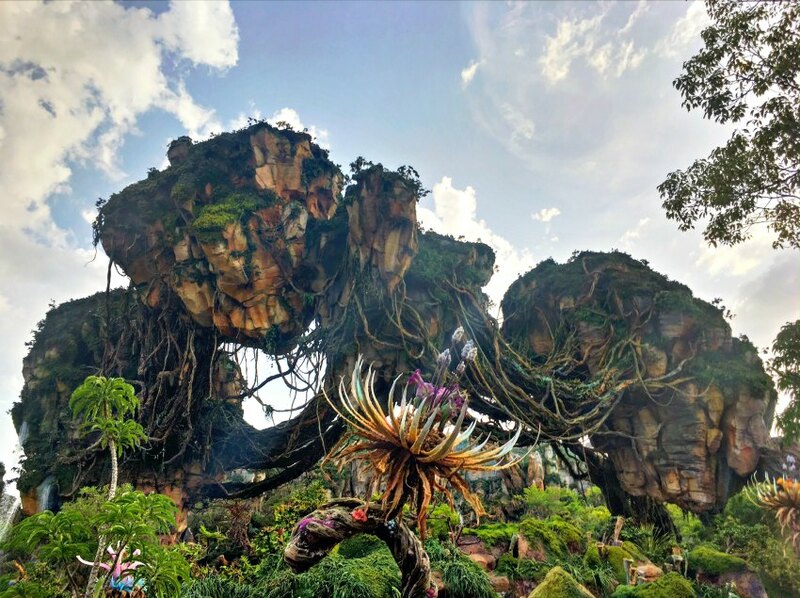 I love sharing Disney tips and since I’ve just been to Disney’s Animal Kingdom theme park, I decided to share my top 5 spots to breastfeed in Pandora. Pandora – The World of AVATAR is now open to the public. I’ve seen many media previews of the newest Disney land, but I wanted to check it out when the masses were there so I could share the best spots to catch a break. My family loved Pandora and I think it makes a beautiful addition to Disney’s Animal Kingdom park. I can’t wait to go back! If you plan to navigate the parks with a baby, I hope this will help make your trip a little bit more magical. Because Pandora is brand new, it will probably be pretty crowded for a while. It’s a truly beautiful place and one could spend hours there, which is why I want to help out the breastfeeding mamas out there as well as anyone who just needs to sit for a minute! 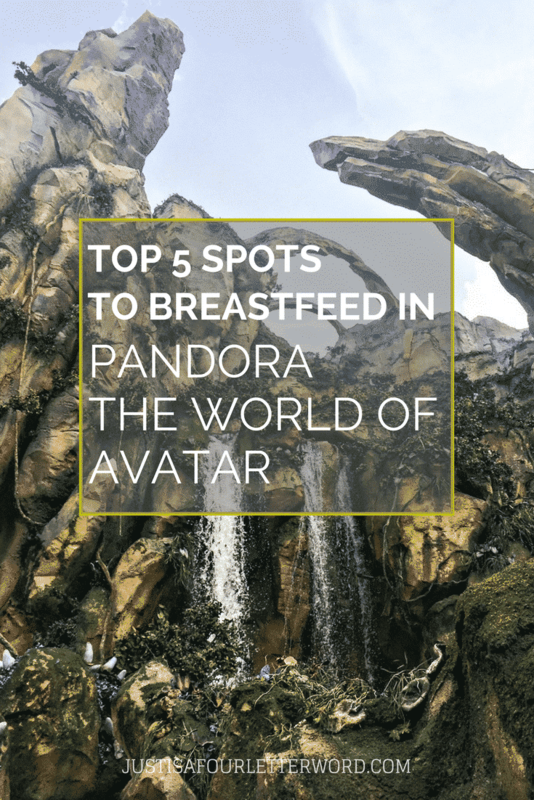 If you want to know where you can breastfeed in Pandora and truly enjoy this beautiful new land, check out my tips! 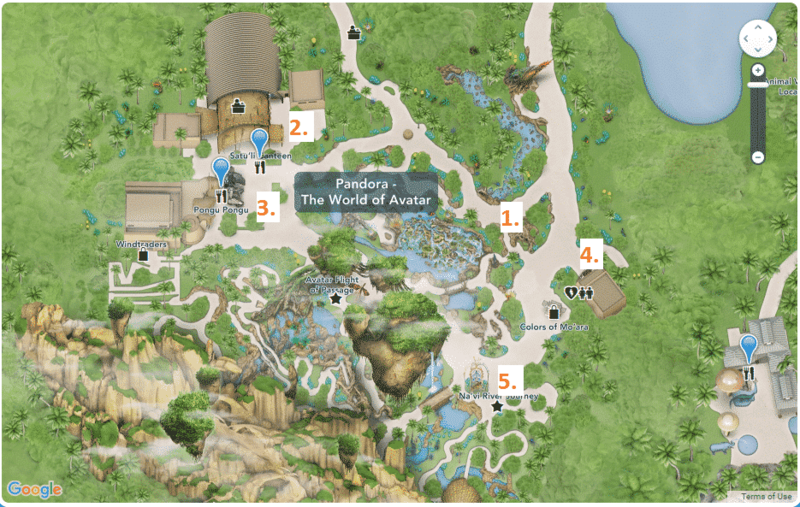 Find this interactive map on the Walt Disney World Resort website. Numbered locations added by me. 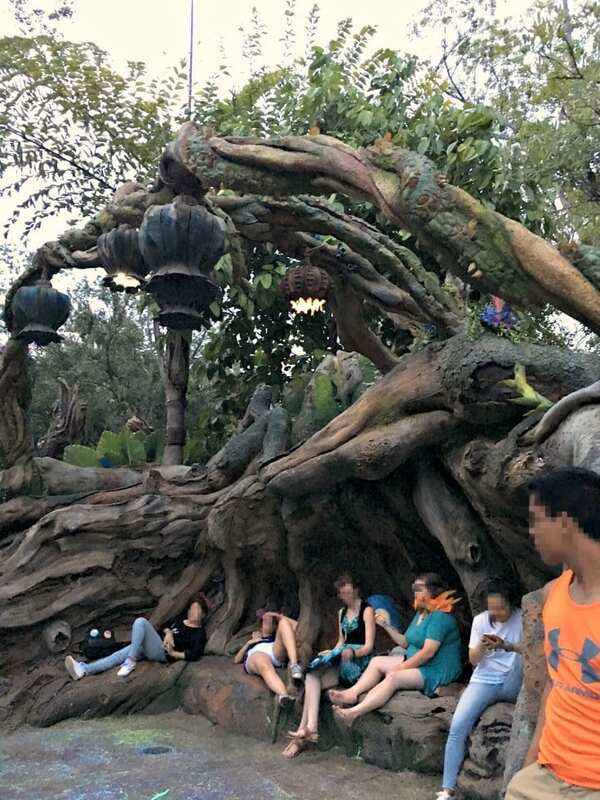 Right in the middle of Pandora, there’s a lovely (and large) tree trunk that provides cover for a nice row of seating. It’s a great place to sit and listen to the nearby drum circle while partially shaded. 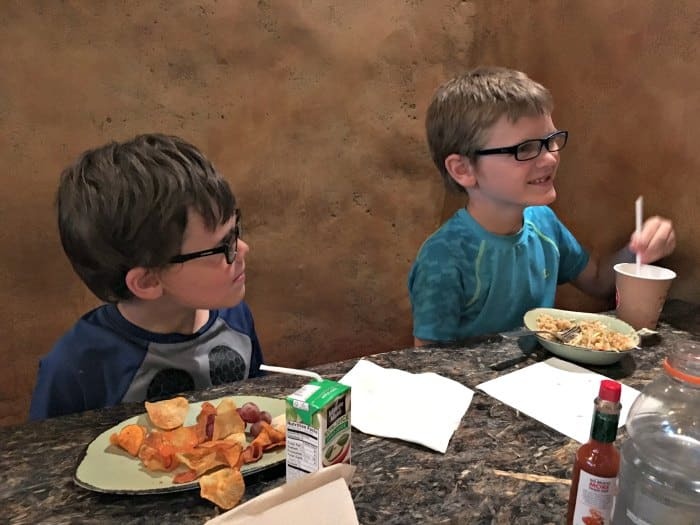 If you want to eat while your baby eats, there is plenty of indoor and outdoor seating in Satu’li Canteen, a quick-service restaurant in Pandora. I recommend trying to grab a corner “booth” on one of the large stone walls if you’re looking for a little privacy. 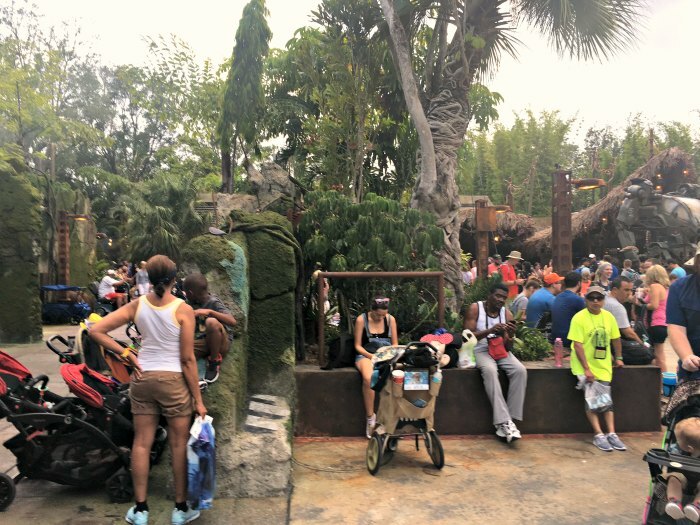 One thing I noticed about Pandora is that there are benches everywhere! Just at the exit of Avatar Flight of Passage (and also near Windtraders gift shop) there is a stroller parking area with benches all around. I gravitate toward stroller parking because when I was breastfeeding I preferred being near my diaper bag to grab whatever I might need. Another little spot and possibly less crowded are the rock wall benches near another stroller parking spot. This one is near a set of restrooms and not far from an outdoor cart with gifts called Colors of Mo’ara. Since there aren’t any attractions here, people probably won’t linger for long giving you a little more space. If your little one can eat on the go, grab a baby carrier and nurse while you wait in line for Na’vi River Journey. Once you are on the slow ride (it’s a small world style), you can continue in the dark, bioluminescent rainforest, which coincidentally happens to be air-conditioned! If all else fails, the entrance to Pandora is just a few hundred feet from the Animal Kingdom Baby Care Center where you can feed your baby indoors as well as change diapers and purchase any baby supplies you may have forgotten. I have a feeling Pandora will be welcoming families of all ages for many years to come. Here’s to a happy visit with full bellies for all! 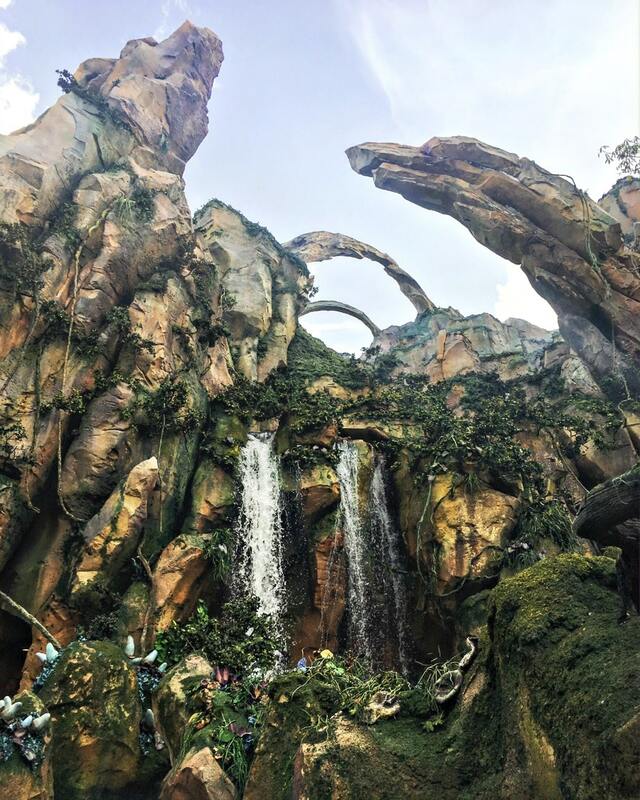 Are you planning a trip to Pandora – the World of Avatar? Share your tips below!